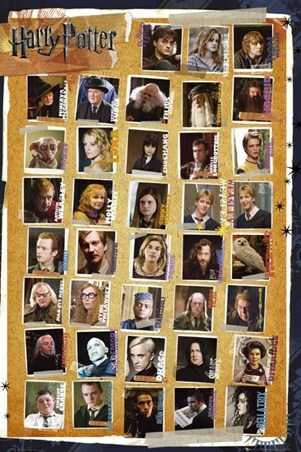 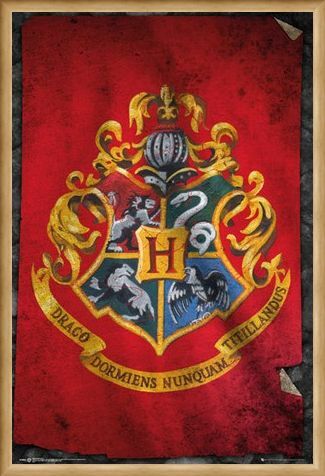 Film and Children's Book Maxi Poster: Welcome to Hogwarts School of Witchcraft and Wizardry! This prestigious school offers teaching to students with magical abilities and is steeped in history, mystery and secret pathways. 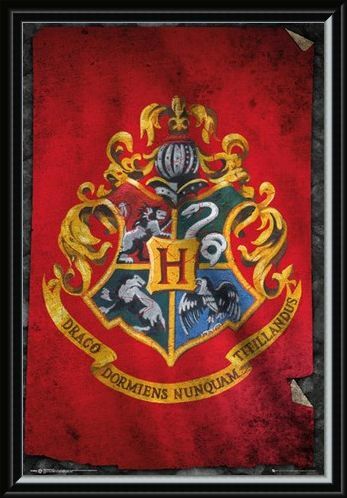 If you've been fascinated with Hogwarts since you read the books, written by British author J K Rowling, then now is your time to board the Hogwarts Express and be sorted into one of the four houses. 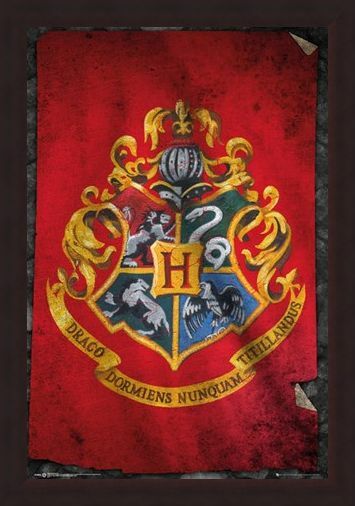 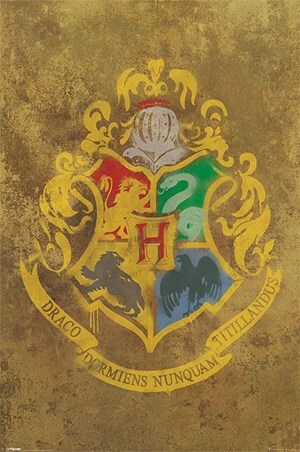 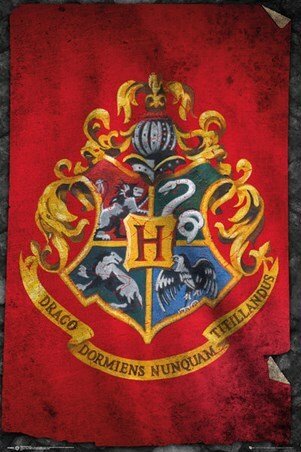 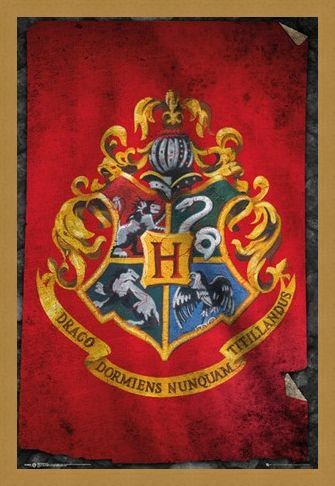 With the Latin motto "Draco dormiens nunquam titillandus" meaning "Never Tickle a Sleeping Dragon", hang this poster proudly on your wall and remind yourself of the legendary story of Harry Potter which left the whole world in raptures. 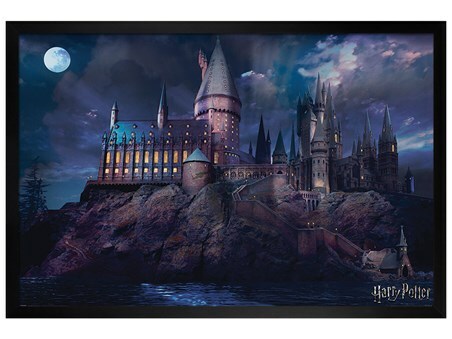 High quality, framed Hogwarts Flag, Harry Potter poster with a bespoke frame by our custom framing service.